The August Bank Holiday Monday is almost upon us and excitement is growing in DeCourcey Country. 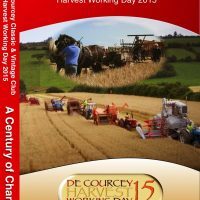 We have a change of venue this year as the annual Harvest Working day moves to the farm of Derry Desmond in Harbour View, Kilbrittain. On the evening of Tuesday 18th July, the De Courcey Vintage Club members, gathered with Friends of Bandon Community Hospital and the Ballinspittle Comhaltas group to attend the official launch of the Harvest day at the wonderful new site overlooking Courtmacsherry bay on the Wild Atlantic Way. The large site will have plenty of space to accommodate the usual working areas with continuous displays of harvesting, tilling, and horse work throughout the day. 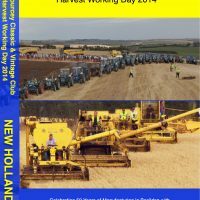 Visitors to previous events will be aware of the range of machines from horse drawn reapers to trailer combines and early self-propelled models to modern giant harvesters that will be seen working on the day. Each year the number of machines grows and we are looking forward to seeing some recently restored vintage combines doing their thing at our event for the first time. This year we will also have silage cutting which is a first for De Courcey’s and we are really excited about it. The emphasis will be on vintage and rare machines but Claas Farm Machinery will also be using the event to promote their latest silage harvesters. 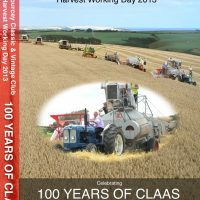 The Claas display will also be a must see for all tractor and machinery fans. We will be very fortunate to be able to display the latest Claas Jaguar 970 silage harvester working at the event. 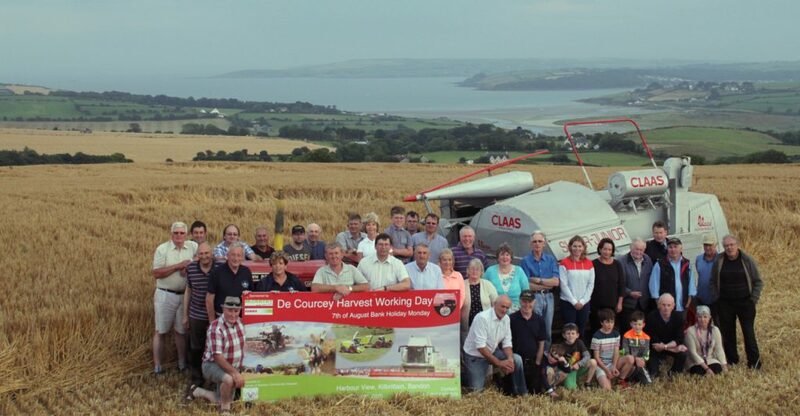 A big De Courcey thanks to Claas agent, Tim McCarthy of McCarthy plant and agri. sales Carriogtwohill for his support. All working combines must register before the event. Silage cutting slots will be allocated before the event but anyone bringing equipment will be able to display in the static area. For up to date Club News and entry forms, please check the facebook page or our website www.decourceyvintage.com. Bill Chambers P.R.O. DeCourcey Classic and Vintage Club. 087 2844197. This entry was posted in Claas and tagged 2017, Agri, Ballinspittle, Bandon, Claas, combine, Comhaltas, community, Courcey, Day, De, Harbour, Harvest, hospital, McCarthy, Plant, ploughing, Silage, threshing, tractors, View, Vintage, Working on July 19, 2017 by admin.